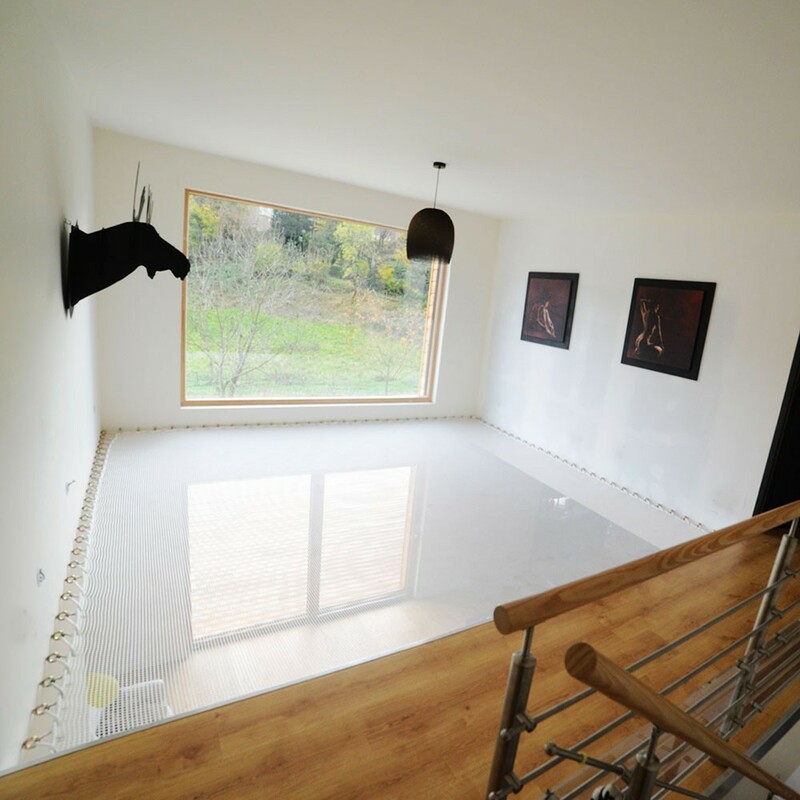 You do not know what to do with your unused ceiling space? Create an additional peaceful, living space for relaxing moments ! 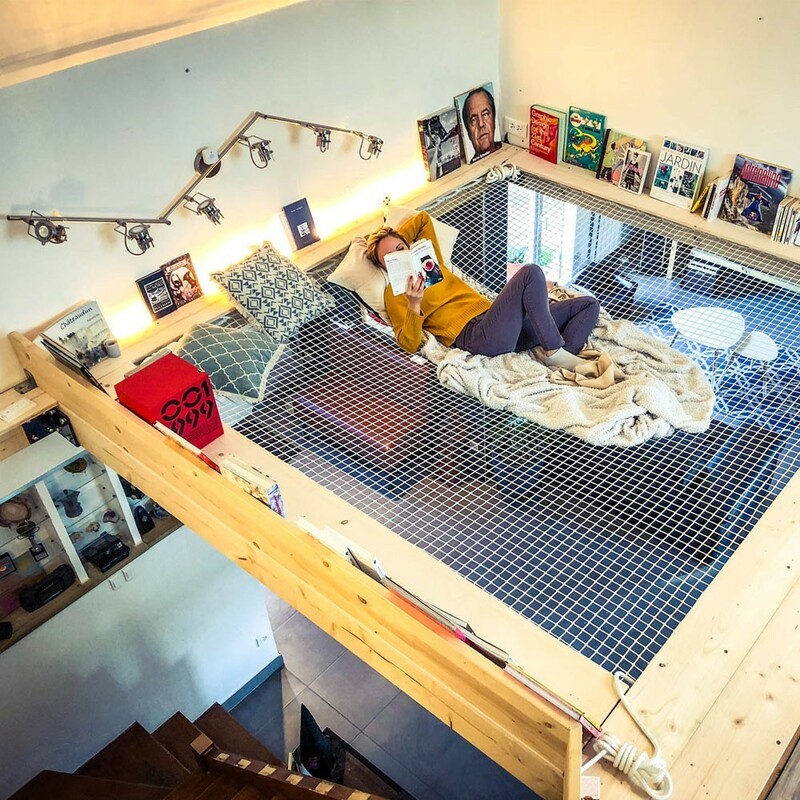 The perfect solution is a suspended hammock floor. 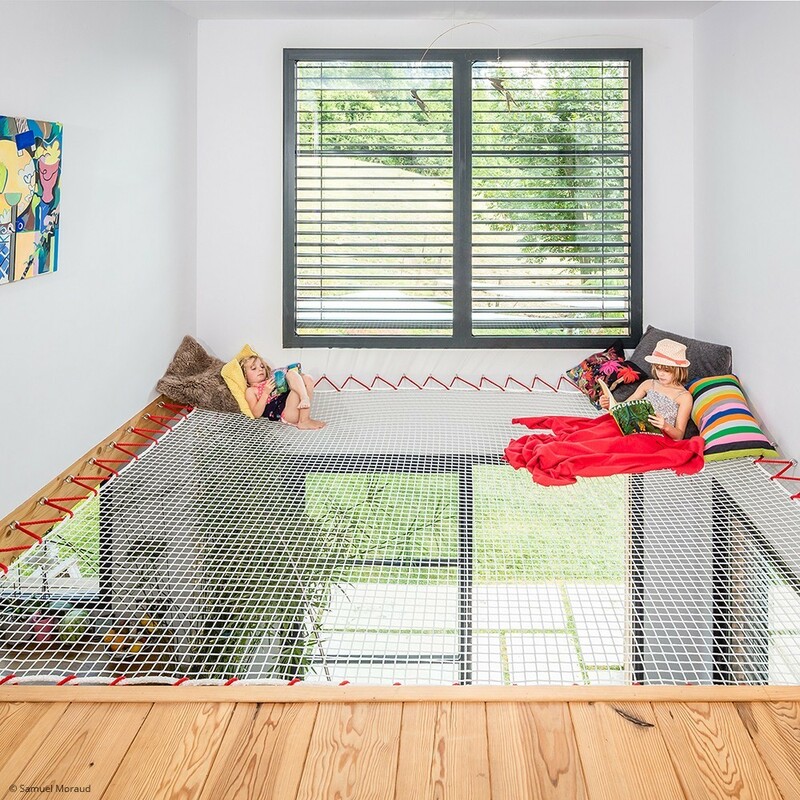 - Easy to set up and to take down, a suspended house net, made from hammock netting material, is light and will let light pass through into the rooms underneath. 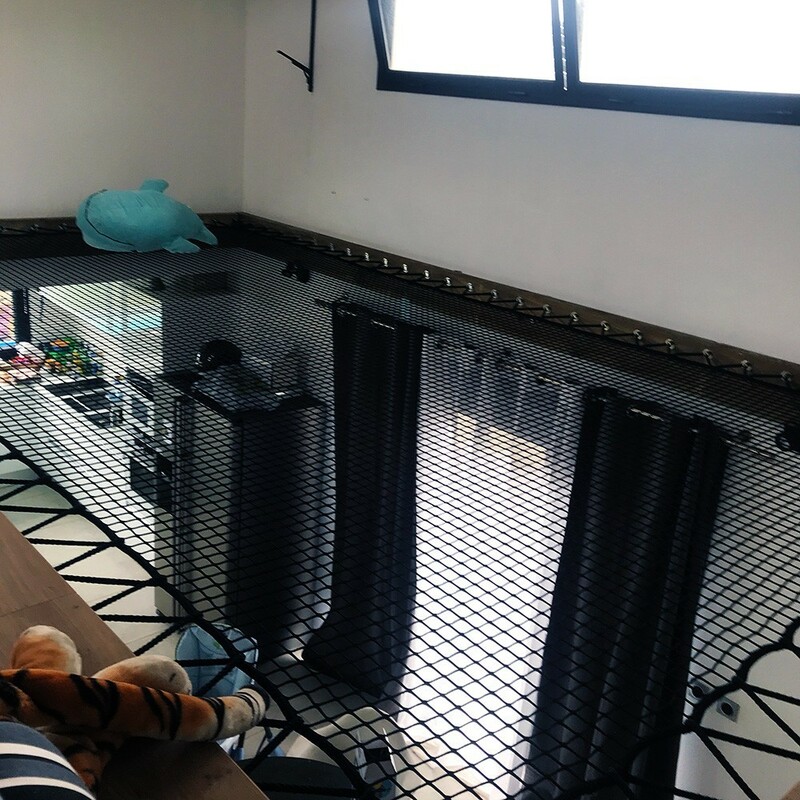 The concept of hammcok floors comes from multihull trampolines, the net that joins up both hulls. It is confortable to walk on and lie on. - Very robust, the netting can withstand up to 100 kg/sqm with a maximum of 400 kg for a net mesuring more than 4 sqm. - For optimal confort in a horizontal position, it is recommended to choose braided netting: several types of netting are available depending on the use. 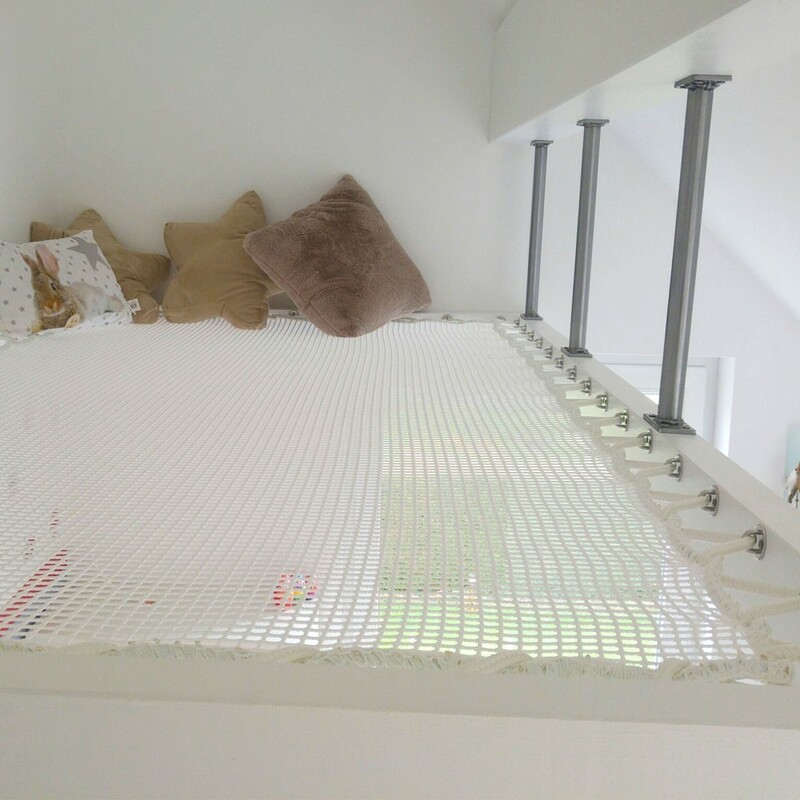 For example, if you have children, we recommend finer netting, more confortable for little feet and stops small objects from falling. 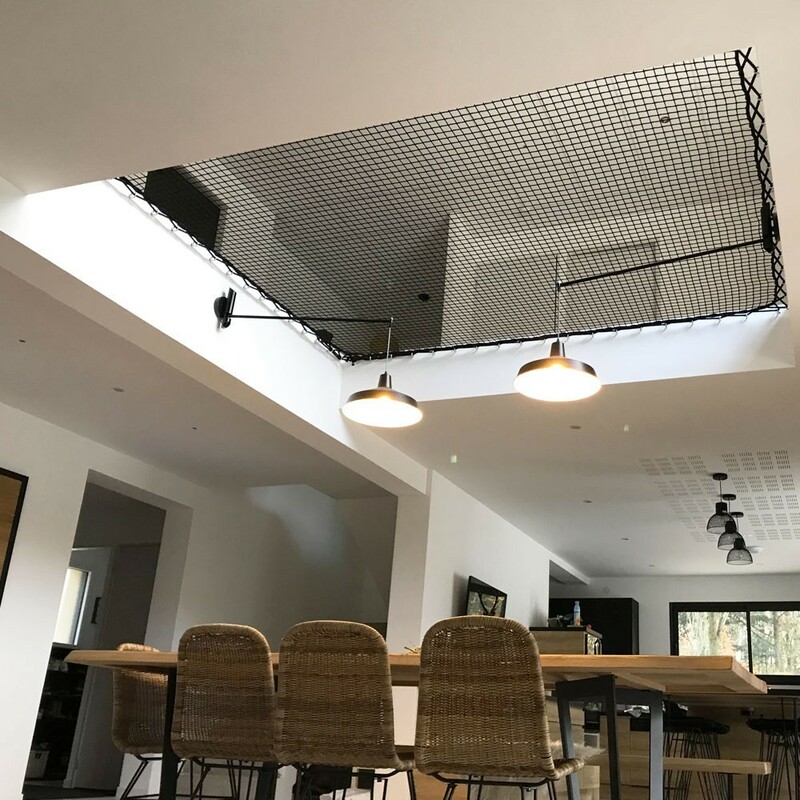 - If you have a skylight, we recommend using wider netting to favour natural light to pass through below. 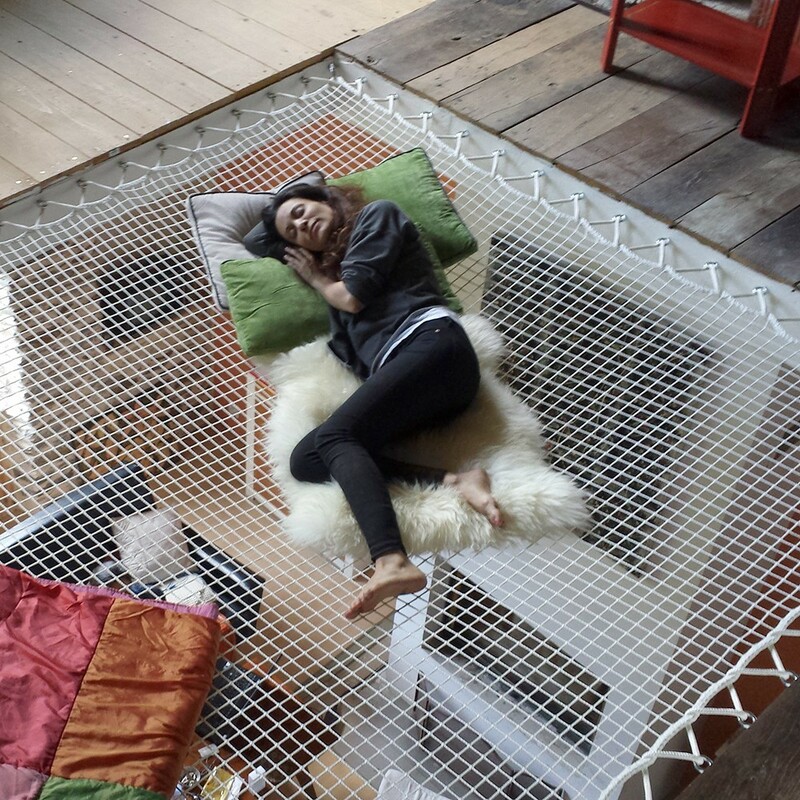 - Your giant hammock floor will transform into fantastic open sapce for naps and relaxing moments ! 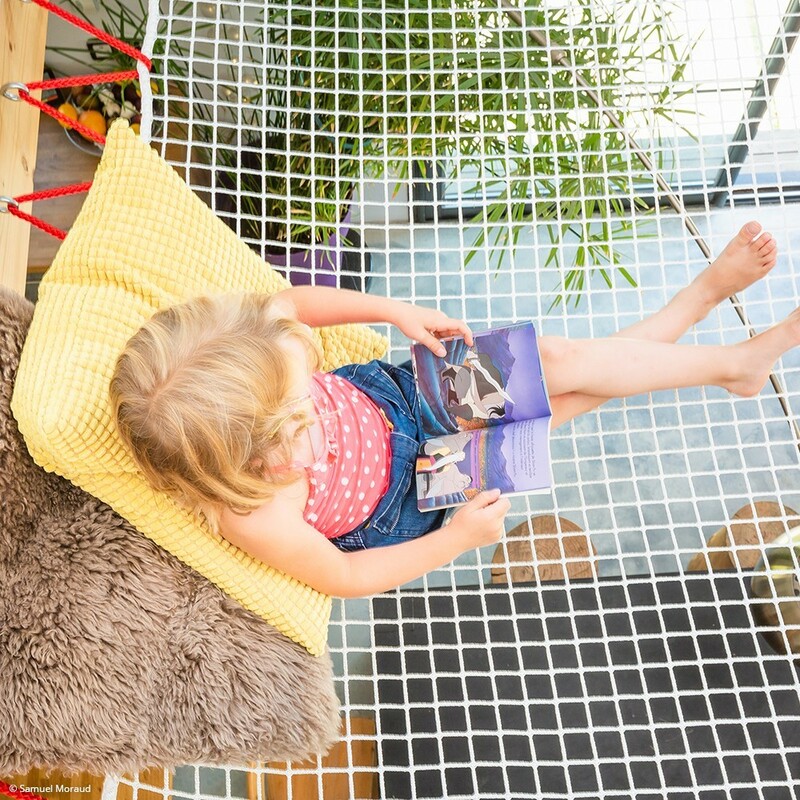 - It must be noted that these hammock floors must not be used as trampolines. 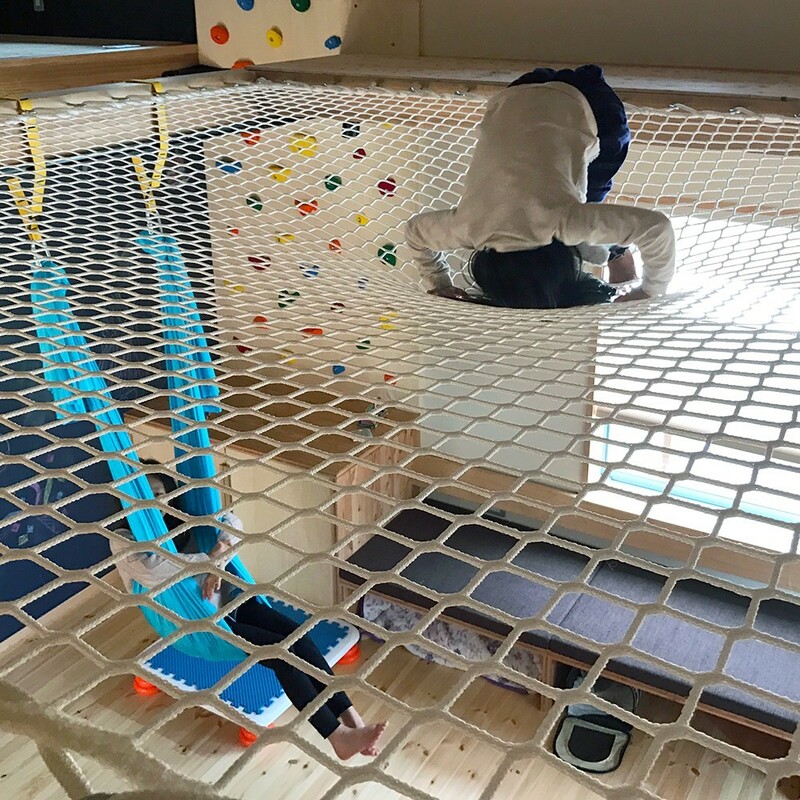 Even if it is tempting to jump on the net, we formally advise against it : the fixings into the supporting frame are not designed for jumping ! - Get your personnal quote for an indoor house net in under five minutes directly on our website. We manufacture these made to measure nets based on exact measuremetnts that will be required to provide you with a perfectly adapted net. 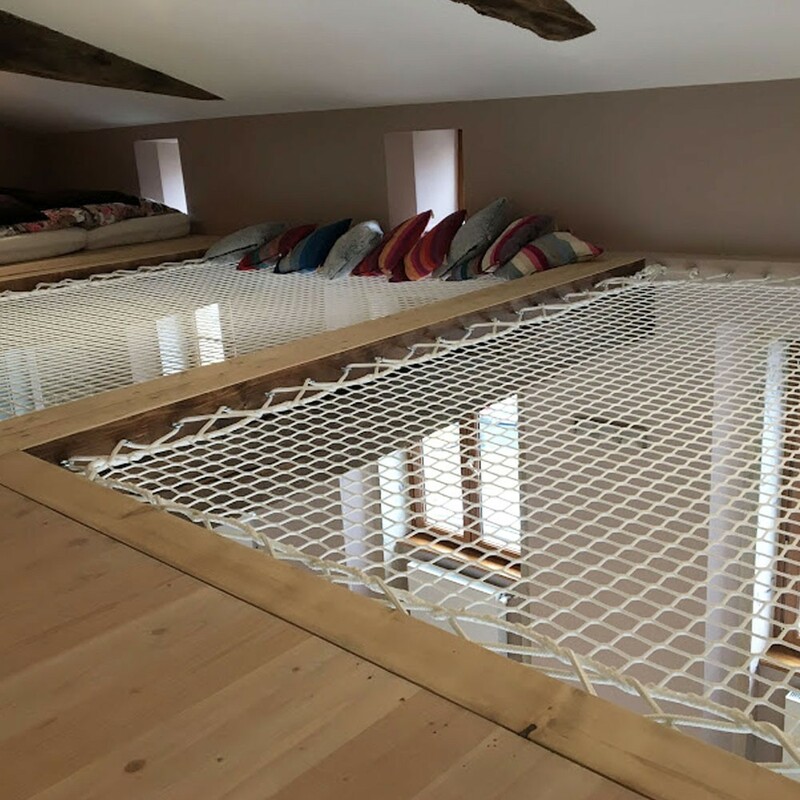 Interior netting allows you to lay down hammock flooring to create a cozy, relaxing area over a void, danger-proof a mezzanine or vertically divide a space in two without reducing volume. A complete customized solution for every architectural project, whether indoor or outdoor. Le filet est de bonne qualité, la taille fournie est bien adaptée, rien à redire. Très bon produit, rien à dire.